￼His wife, Aisha, has caused the arrest of her own Aide De Camp, after accusing him of defrauding her, those familiar with the matter have told PREMIUM TIMES. 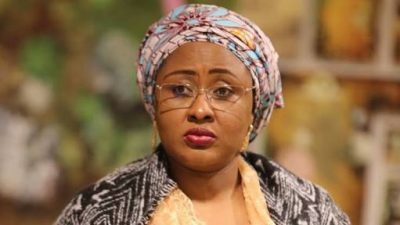 ￼It is unclear how the president’s wife came about the allegation, but one source said another aide working for Mrs Buhari originated the claim. ￼The police, it was gathered, concluded that Mrs Buhari must have been wrongly informed as there was nothing to show or prove that such huge sums of money was in the custody of Mr Baba-Inna. ￼When Mrs Buhari was informed of the outcome of police investigation, the source said the first lady flared up and accused the police of colluding “to protect one of their own”. ￼“You are just telling me now, I am not aware, but if there is anything like that I will get back to you,” he said.